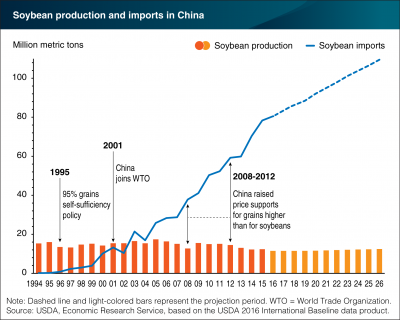 If a China-U.S. Trade Dispute Emerges, Could Soybean Exports Be Affected? Recall that last week, President Donald Trump imposed tariffs on imports of solar panels and washing machines. At the time, Bloomberg news pointed out that, “China is the biggest maker of solar panels and expressed displeasure at the move. The country is also the largest buyer of U.S. soybeans, at a time when growing production and inventories have weighed on prices and intensified the battle between the U.S. and South America for market share. The Post article added that, “Lester Ross, chairman of AmCham China’s policy committee, said it was likely that Chinese authorities would target retaliation toward sectors that have ‘political resonance‘ in the United States. “U.S. soybean exports and share of production exported.” USDA- Economic Research Service (October 06, 2017). 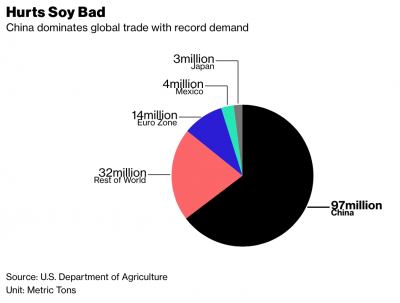 If China wanted to hit back, soybeans could be a weapon. “When Trump Puts America First, These Commodities Are at Risk.” Bloomberg News (January 25, 2018). 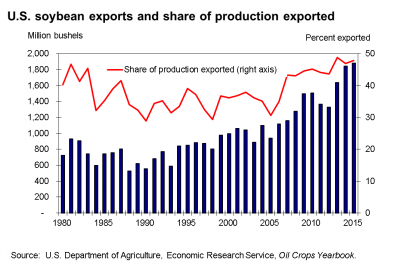 Beyond the hypothetical potential of retaliatory trade action by China, Reuters writer Karl Plume reported last week that, “U.S. 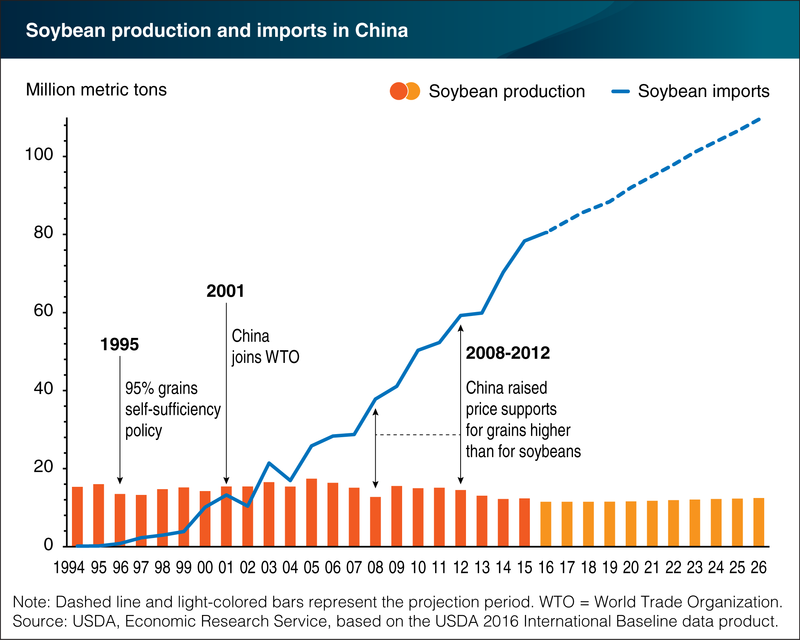 soybean growers are losing market share in the all-important China market because the race to grow higher-yielding crops has robbed their most prized nutrient: protein.